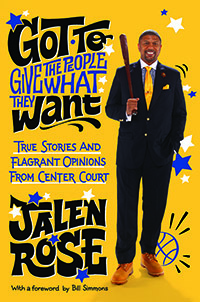 Jalen Rose Leadership Academy (JRLA) is an open enrollment, public charter high school on the northwest side of Detroit. The Academy began its first academic year in September 2011 and currently serves over 400 ninth through twelfth grade scholars from metro-Detroit. 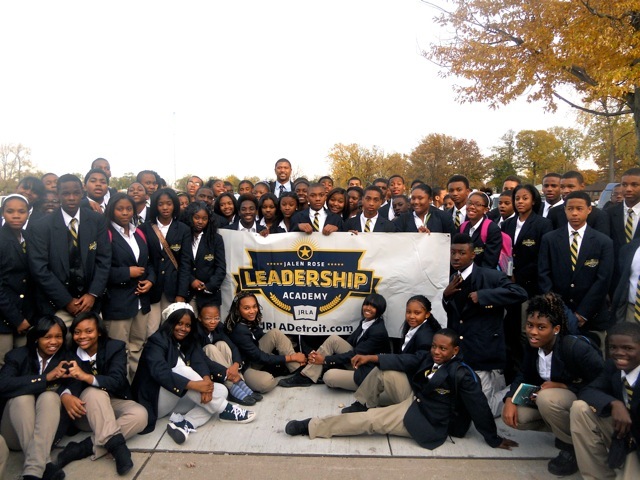 JRLA provides a leadership-focused education that engages and inspires youth to achieve at the rigorous level necessary to ultimately graduate with a college degree. Scholars are provided with an authentic academic experience which builds both the skill and will necessary to be successful in high school and beyond. Immersed in the culture of college, scholars not only receive extensive college exposure via university tours and dual enrollment opportunities, but are also required to pass at least one Advanced Placement course to assist in a seamless transition into college. Focused on a 9-16 model, we are on a mission to not only graduate their scholars, but get them to graduate from college as well — outcomes that are real game changers in urban education. We reached a major milestone this past June by graduating our inaugural class. We are off to a very strong start having graduated more than 90% of our scholars and sending more than 90% off to college, technical school or the military. However, we know we have more work to do which is why we don’t just develop students, we cultivate scholars by tapping into the intrinsic powers of respect, determination, excellence and family. With this vision, scholars unleash the transformative powers of learning to manifest a better fate for themselves and the people that they love.